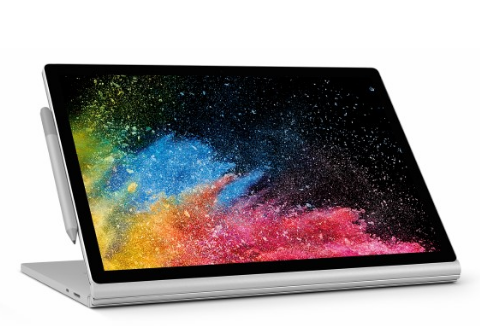 Enthusiasts, tech reviewers, and casual users are totally gushing over Microsoft’s Surface Book 2 – and for all the good reasons. It has new graphics cards, new processors, subtle design tweaks, and is now available with a new 15-inch screen. Fantastic. Microsoft has stepped up to the eighth-generation Intel processors with the Surface Book 2, which basically means it offers quad-core options available. The 13-inch version features a Nvidia GeForce GTX 1050 complemented by 2GB of graphics memory. On the other hand, the 15-inch Surface Book 2 has the GTX 1060 with 6GB of graphics memory. Of course, there is a multitude of configuration options, the 13-inch model start at $1,499, while at $2,499 for the 15-inch version. If you’re not familiar, the Microsoft Surface Book was Microsoft’s first “actual” laptop, introduced back in 2015. Since then, it’s been upgraded with minor spec bumps, but not major changes. The Surface Book 2 this year also doesn’t offer major changes — but that’s only when it comes to the basic look and feel of the device. The Surface Book’s most unique part of it is the hinge, which twists like a thread rolling off a tank. It’s built to enhance the horizontal depth of the base of the laptop, which is essential because the screen is heftier than usual. It’s like that because you can separate it and use it as a separate tablet. The Surface Book is not really portable laptop because it’s a “big, powerful beast of a laptop.” It’s not actually small, plus it weighs more than many other laptops, and it costs more as well. You will want to own one because you need a ton of power. Even those who like the idea of tablet Windows PCs are better off using the Surface Pro unless they must do something very compute intensive regularly. Also, it’s not precisely designed to be a “gaming laptop,” it should be able to play fairly high frame rates — even Xbox games. More than just the specs, Microsoft accomplished a ton of work that is only a bit noticeable on the outside. The Thermals have been changed to pump more heat away from the chips. Hinges on both models have been restructured and reinforced to be more durable while taking up less internal space. Microsoft has finally put standard USB-C port as well. 17 hours of batter was boasted as well depending on usage. So, what do you think about the Microsoft Surface Book 2? What do you like about its new specs and features? Will you buy it? Share us your thoughts in the comments below!